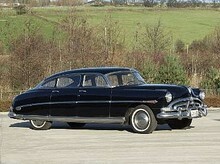 The 1946 models were known as the Super and Commodore. These were available with either six or eight cylinder in-line side-valve engines of 3,472 and 4165 cc and power of 102 or 128 bhp. 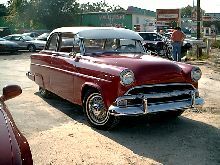 The cars were still built on heavy chassis but had independent front suspension and hydraulic brakes. The braking system was termed "Duo-Automatic" because if the hydraulic system failed they could also be operated mechanically. Only second and third gear were synchronised in the three speed gearbox. 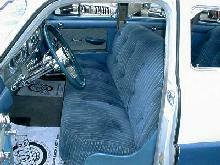 The gear-change lever was mounted on the steering column. The clutch was faced with cork and had an oil bath in the same manner as the 1911 Hudson!! 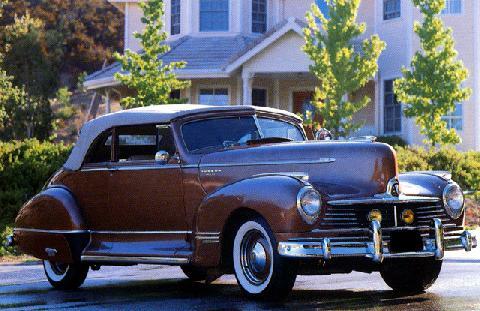 The Super Eight was available as a sedan or coupe. There was an eight-cylinder in line engine with side valves and an old fashioned 6.00 x 16 in tyre size.